November | 2014 | 50 Westerns From The 50s. They say today marks the beginning of the Christmas season. 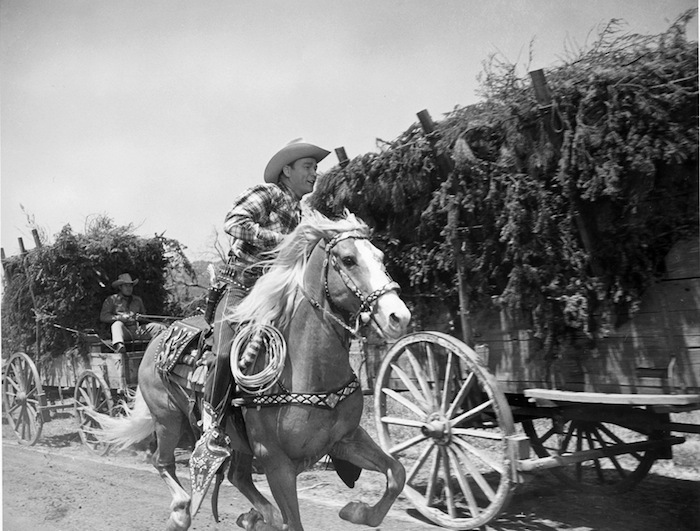 Here’s Roy Rogers and Trigger in Trail Of Robin Hood (1950), making sure every kid gets a tree. Around my house, this wonderful, charming 67 minutes is a holiday tradition. It goes well with egg nog, cookies and, of course, popcorn and Raisinets (not to mention one of Sir Galahad’s relatives). There’s absolutely no way I can recommend this movie enough. And I’d like to say hello to Sis McGonigle herself, Carol Nugent. There’s something about this picture I really love. Maybe it’s just the Clampetts, who knows. 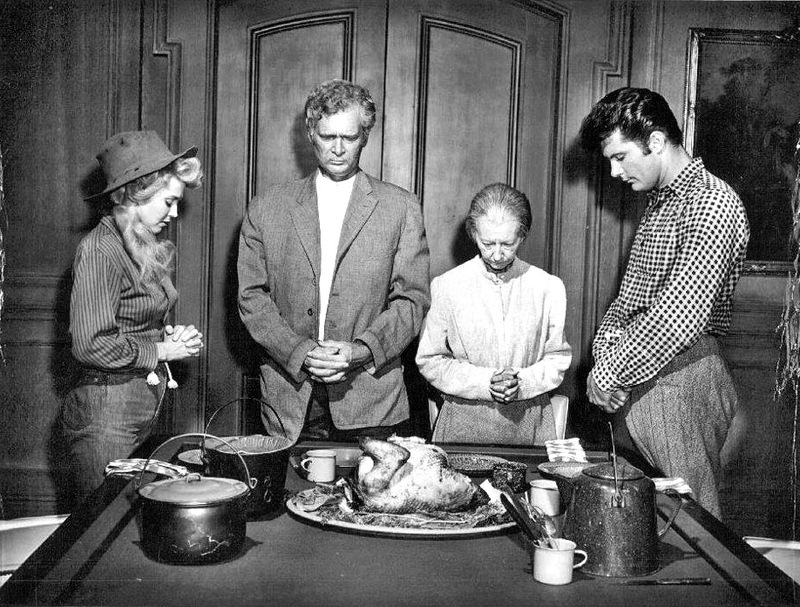 Today, be sure to gather your family around the fancy eatin’ table for some turkey and gopher gravy. 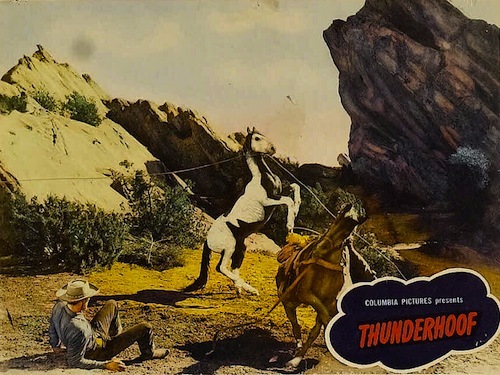 DVD Review: Riders In The Sky (1949). 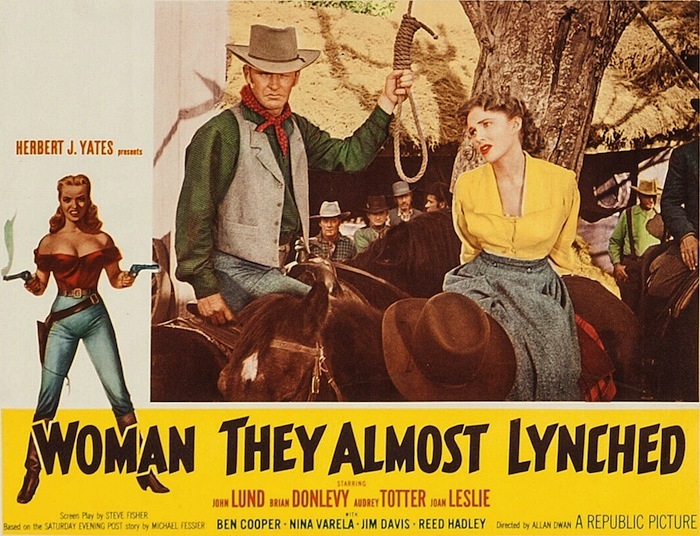 CAST: Gene Autry, Gloria Henry (Anne Lawson), Pat Buttram (Chuckwalla), Mary Beth Hughes (Julie Stewart), Robert Livingston (Rock McCleary), Steve Darrell (Ralph Lawson), Alan Hale, Jr. (Marshal Riggs), Tom London (Old Man Roberts), Hank Patterson (Luke). 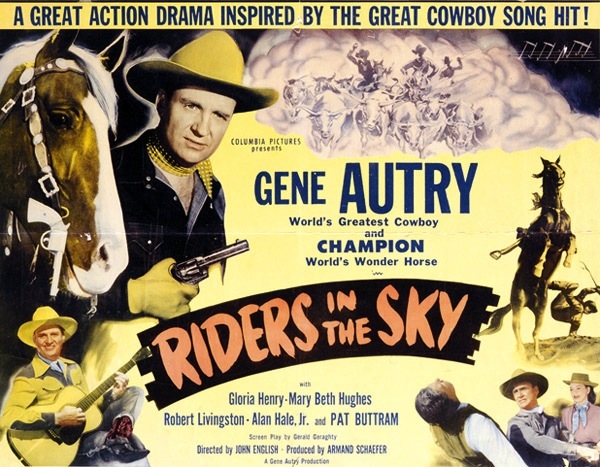 South Of The Border (1939), The Strawberry Roan (1948) and a few others are really terrific, but as I see it, Riders In The Sky (1949) is Gene Autry’s best film. It’s a bit darker than the typical Autry entry, even though the plot’s pretty standard (Gene’s friend has been framed for murder by one of those sinister gambler/saloon owner types). 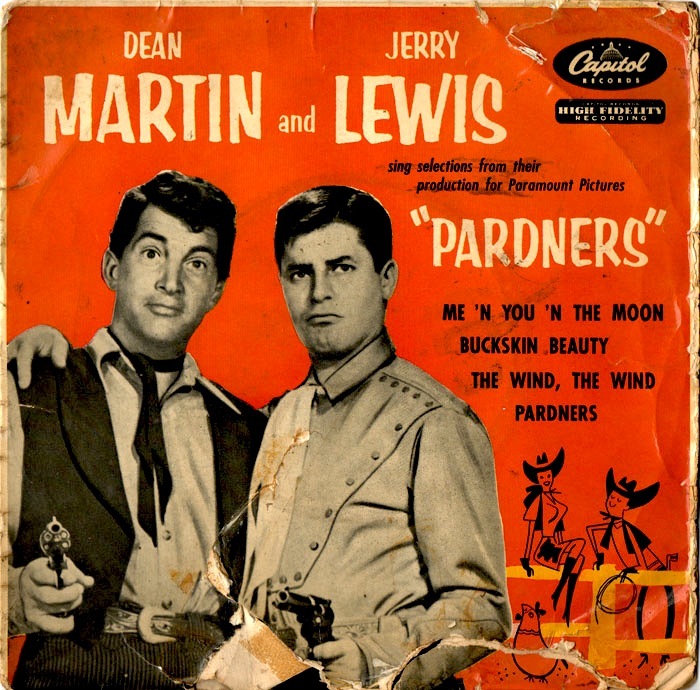 But it makes inspired use of Stan Jones’ hit song “Ghost Riders In The Sky” for a moving scene where a dying man sees the ghost riders coming for him. I’m not going to name any names — don’t want to spoil it for those who haven’t seen it. Just know that this is territory very few B Westerns rode into, and you won’t forget it. The writers of these later Autry pictures seemed to be going for something a little different, even if they started with a basic plot. Some say this one was retooled a bit (and retitled) to work in the song. If so, it was done brilliantly. It’s seamless and it makes the movie. The cast is tops in this one, too. 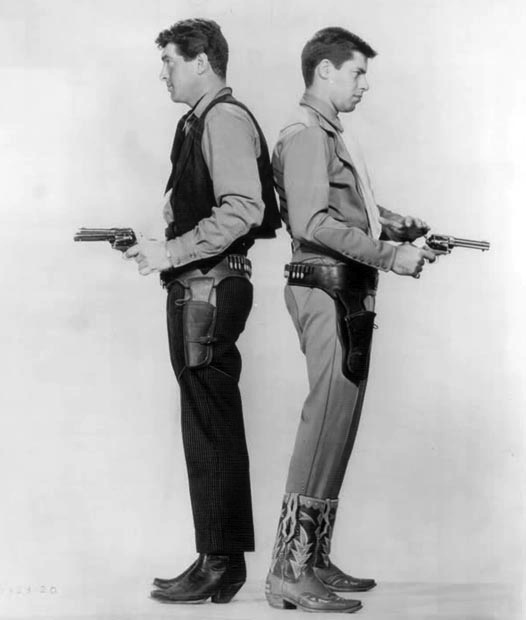 This was Pat Buttram’s first outing as Gene’s sidekick, though he had appeared in The Strawberry Roan. Gloria Henry is spunky as the daughter of the framed man. Bob Livingston makes a great bad guy. Mary Beth Hughes does all she can with the usual saloon girl role. Hank Patterson’s fun as a stage driver. Of course, he and Buttram would appear together on Green Acres over 15 years later. But the acting honors go to Tom London as a grizzled old prospector. He rarely got meaty parts like this one, and he’s marvelous. 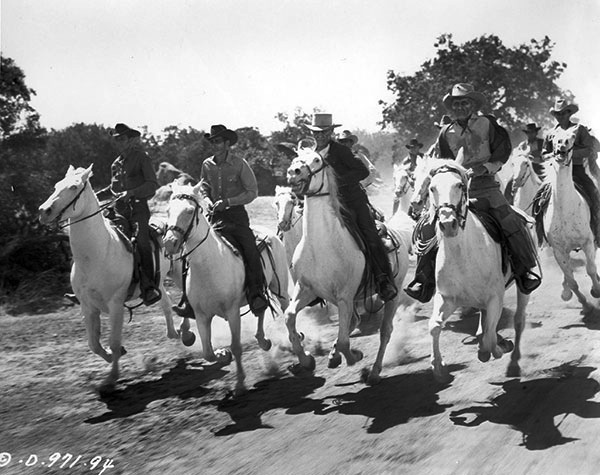 Riders In The Sky looks heavenly on DVD, one of the four films in Gene Autry Collection #8, benefitting from that large-scale Autry restoration project. The others in the set look just as good. Timeless Media Group gives us plenty of extras, including the Nashville Channel intros from Gene and Pat Buttram, at a terrific price. Highly, highly recommended. Wild Bill Wednesday #8: Hellfire (1949) Screening. This is something I’ve been wanting to put together for a very, very long time. 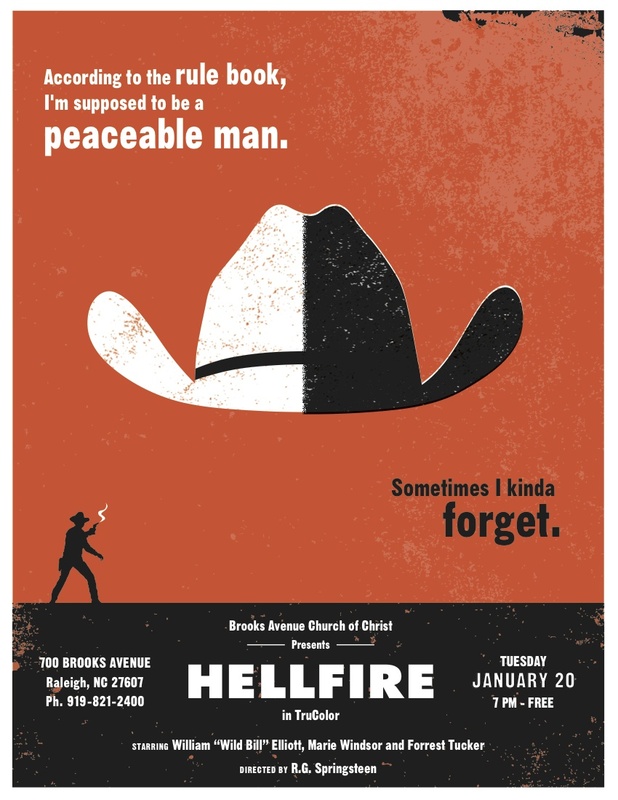 Hellfire (1949) will run at Brooks Avenue Church Of Christ here in Raleigh, NC on January 20, 2015. First, I shopped around for a 16mm print, but what I found was either black & white or the color’d turned pink. Then I figured I’d wait for a DVD or Blu-ray from Olive Films. No luck there, as it dropped off their release schedule. So I finally decided to go with the best-looking material I could find. 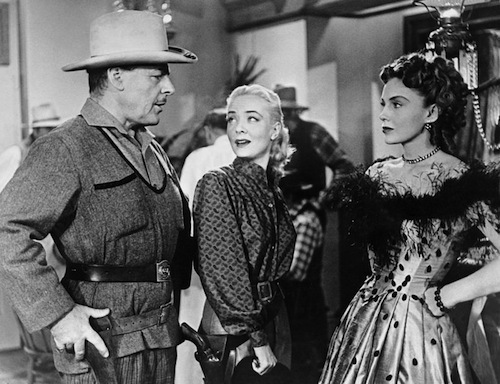 Elliott considered Hellfire his best film (he was one of the producers), and Marie Windsor always listed it as a personal favorite (along with The Narrow Margin and The Killing). Who am I to argue? It’s one of my favorite Westerns, a movie that gets better every time I see it. 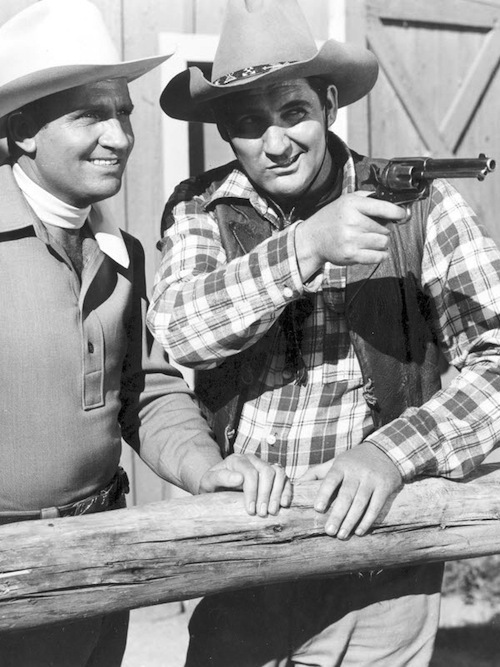 Believe it or not, Republic sometimes paired Hellfire with Brimstone (1949), a Rod Cameron Western. Thanks to Jim Briggs for designing the flyer. 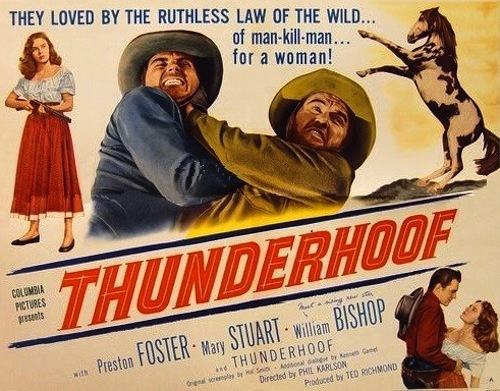 50s Westerns DVD News #166: Thunderhoof (1948). I’ve never seen this one, and it sounds terrific, written by Hal Smith who wrote It Came From Beneath The Sea (1955), Allan Dwan’s The River’s Edge (1957) and The Defiant Ones (1958). Not the same Hal Smith who played Otis on The Andy Griffith Show. Some sources say it played theaters in sepia tone. Thanks to Ron Hills for the tip.